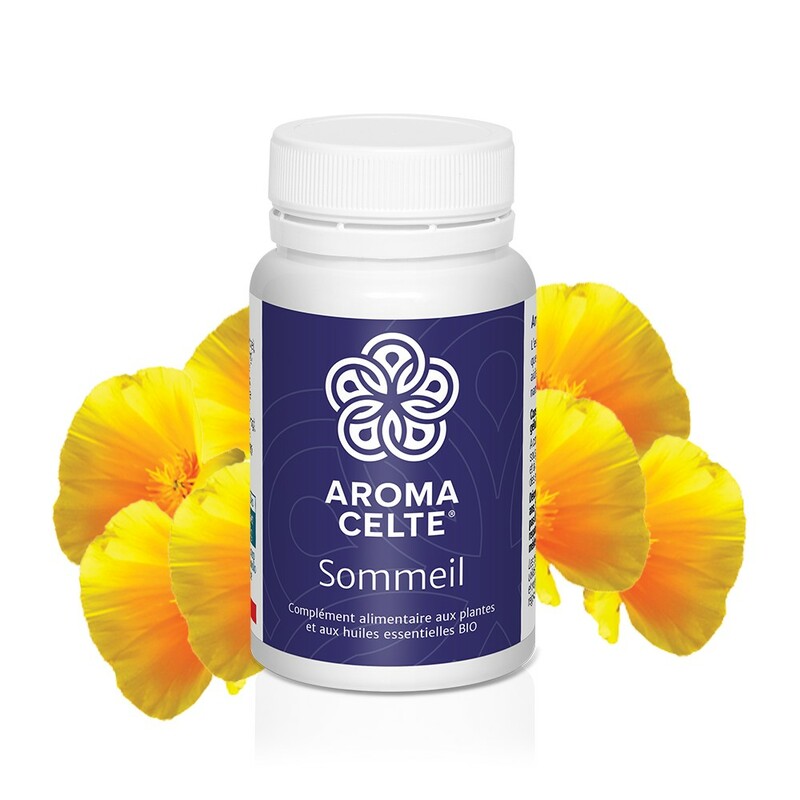 Aroma Celte ® Sommeil contains California poppy, valerian and lavender essential oil which improves the quality of natural sleep. 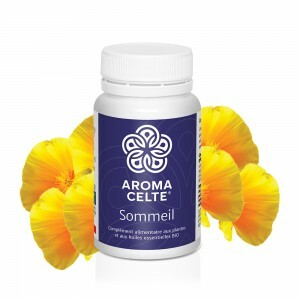 Advice for use :1 capsule at dinner and 2 at bedtime i.e. 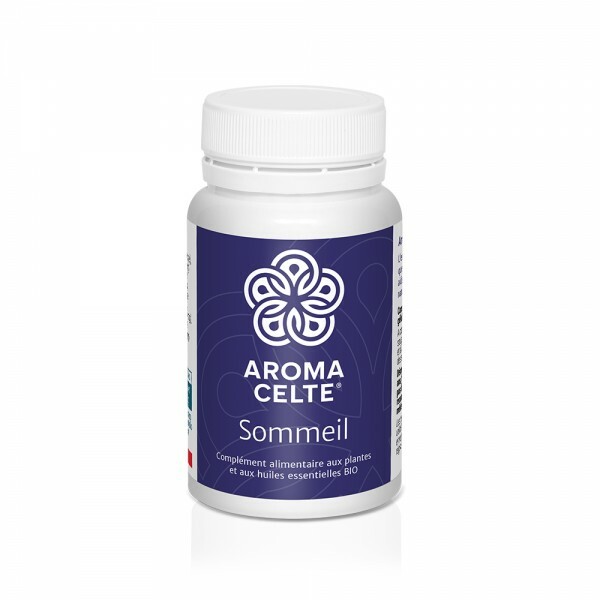 3 capsules per day. California poppy aerial part extract (405 mg) (Eschscholtzia californica) (maltodextrin), valerian roots extract (315 mg) (Valeriana officinalis) (maltodextrin), lithothamnion, marine origin capsule : fish gelatin, bitter orange zest essential oil (75 mg) (Citrus aurantium), lavander flowers essential oil (75 mg) (Lavandula vera), mandarin zest essential oil (37,50 mg) (Citrus reticulata), anti-caking agent : silicon dioxide.